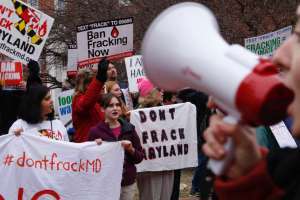 Opponents of fracking have taken their fight to Maryland’s state capital to try to get a ban before a moratorium ends this year. Friendsville already has instituted a ban and so has the Western Maryland community of Frostburg. But Roberts said a statewide ban was needed. Maryland Del. Wendell Beitzl is a proponent of fracking under the regulations that the state of Maryland has drawn up. He said he thinks critics of fracking overstate the possible health and safety risks of the process to extract natural gas and oil. Beitzl also stressed his ties to the area. His district includes all of Garrett County and parts of Allegany County. “I live there, my kids are there, my grand kids are there,” he said. Thomas Meyer, an organizer with Food and Water Watch, is urging lawmakers to enact a statewide ban before a moratorium is lifted later this year. He said he’s not just concerned about land and environmental issues in Western Maryland. Beitzl said the economic advantages of allowing fracking would benefit owners of farms and large properties in Western Maryland. He said it’s important for property owners to be able to exercise their property rights. 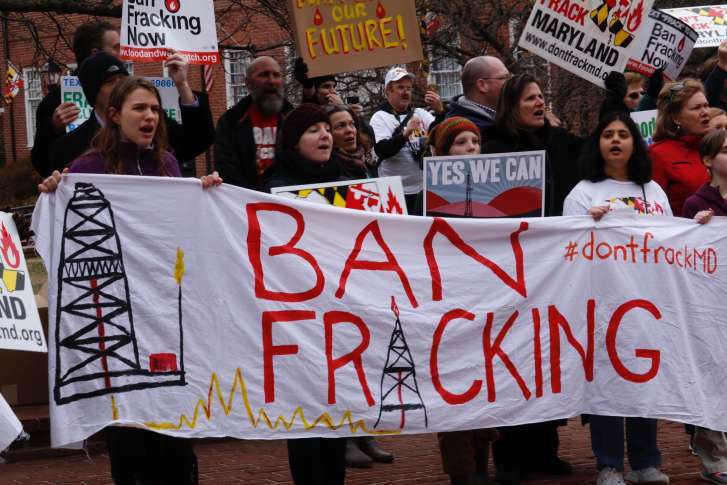 Beitzl dismissed concerns that other areas of the state could be future sites for fracking. “You know and I know and everyone else knows that there’s no way that anyone in Montgomery, Prince George’s or any other area of the state’s going to allow it — and if they want a ban, have at it,” Beitzl said. Bills calling for a ban could be filed as soon as next week, according to Meyer.